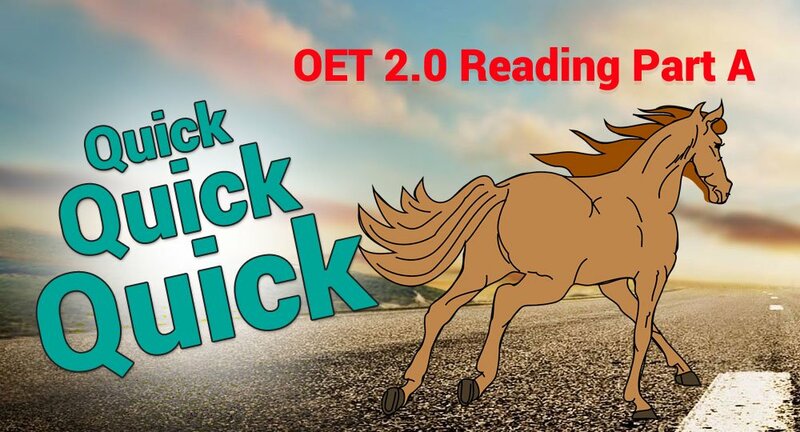 Looking for some quick and easy ways to achieve success in the OET 2.0 reading test? You can’t go wrong with our handy 6 top tips. Read on for your ticket to success! If there was only one tip we could give, this would be it! This tip applies to any English exam, any exam at all; in fact, any skill in our lives. For the updated OET reading test, practice is imperative. The structure and format are different from that of the previous OET materials. Once you get used to it, it is not as scary as you may think, and you can learn strategies to approach each section. By practicing using sample materials, you will become familiar with this part of the test. With the right preparation, anything can be achieved. At first glance the instructions in the various sections of the reading test may seem a bit confusing. Or perhaps you feel that you know them by now so there is no need to spend time reading them again. It is always advised to read the instructions carefully. Even if you know what they are going to say, they will give your brain the reminder that it needs to be prepared for the task ahead. As a medical professional, when you are reading texts in health-care settings, it is easy to get involved in the texts themselves; thus, spending too much time and brain energy on them! You may disagree with the viewpoints or facts being given in the texts and get caught up in this, thinking that you should use your own medical knowledge to answer the question. It is important to avoid this type of thinking as it can divert your attention away from the task at hand and lead to confusion and valuable time being lost. Focus on finding the information that the question requires, using your language and comprehension skills and the strategies that you have learned when completing samples. Do you ever read a paragraph or page of an article, newspaper or a book, only to get the end and realise that you have not taken in any information?! We all do this sometimes. In an exam situation, our minds may be elsewhere; perhaps we are thinking about the next part of the test that we are nervous about or a mistake on the previous section, and we forget to focus on the text. This is especially true when we are reading in a language other than our mother-tongue. 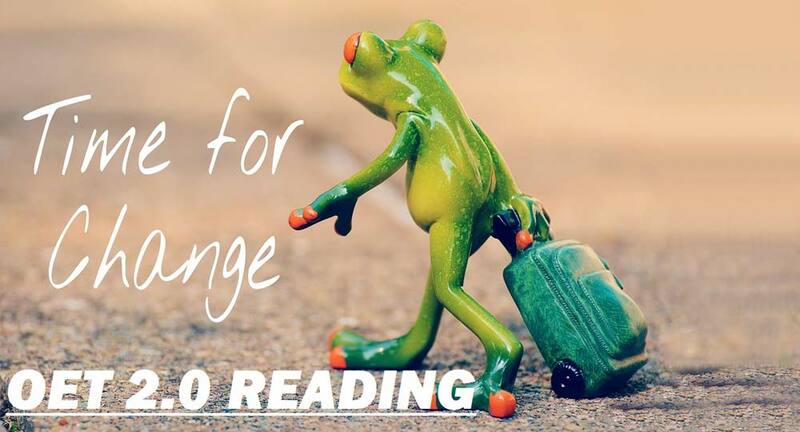 It may sound obvious, but when you are reading the passages, make sure that you are gaining as much of an understanding as you can as you go along. The last thing you want is to have to read the passage again! It is usually a good idea to read the question before the text so that you know what is being asked of you, what you are looking for and so that you have seen the keywords to look out for. 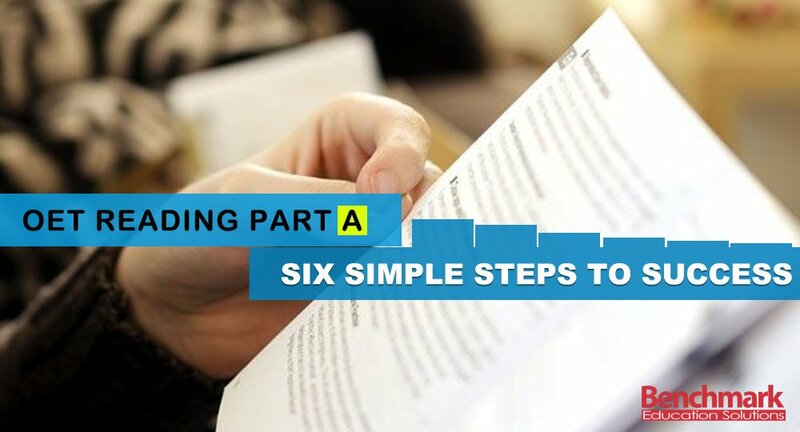 There may be occasions, such as in reading part A, where you read the questions at the same time as scanning the passages, but as a rule, this is the correct order to approach the tasks. As you are reading, it does not take much extra time to underline or circle a keyword or phrase or to jot down a piece of information to refer to later. These notes will stand out from the rest of the information so that you are more easily drawn to the important and relevant points. This trick is applicable to both the questions and texts. It is a tried and tested strategy that has been used again and again in reading comprehension tests of all types. 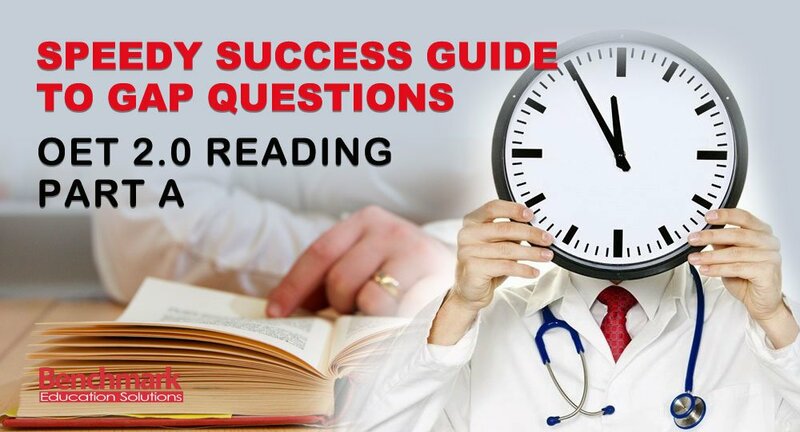 Try out our top 6 tips for success with our OET 2.0 reading test samples and practice tests. Start your journey towards OET success today!